Detective Regan Pescoli has worked the “Star Crossed Killer” case for months, never imagining she’d be captured by the madman she’s been hunting. Regan knows exactly what he’s capable of—the way he leaves his victims to freeze to death, terrified and alone. And avoiding the same fate will take every drop of her courage and cunning. Regan Pescoli is unlike any woman Nate Santana has met before. But now she’s missing, and Nate knows something is dangerously wrong. 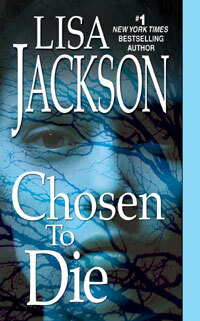 The only person who can help him find his lover is Detective Selena Alvarez, Regan’s partner. As Selena digs deeper into the Star-Crossed Killer case and the body count rises, the truth about Regan’s disappearance becomes chillingly clear.